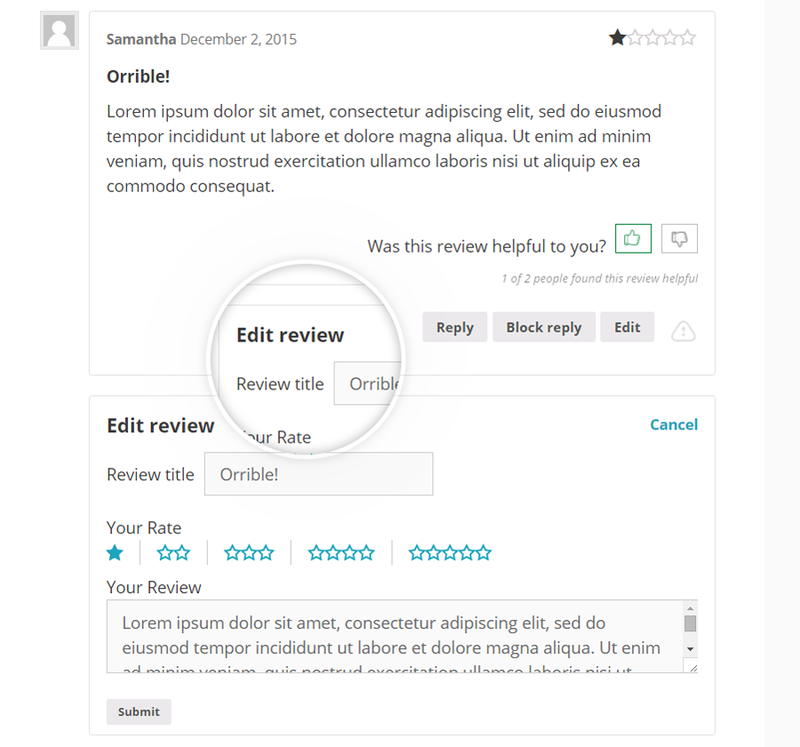 In order to give users the possibility to edit their own reviews after having published them, enable the option “Edit reviews”. 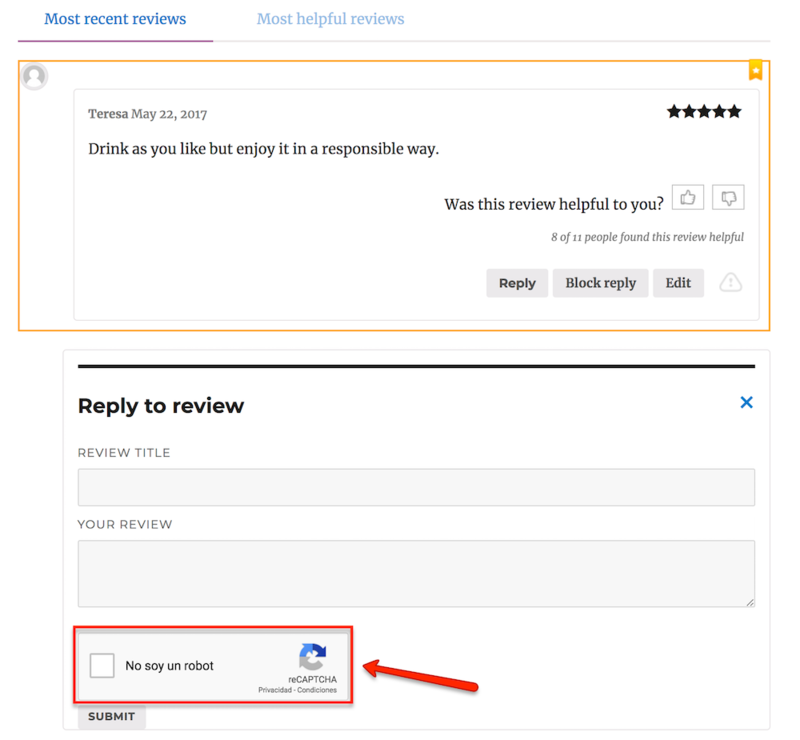 In each review you will find a specific section where you could manually edit the vote and username and also the author’s email address. 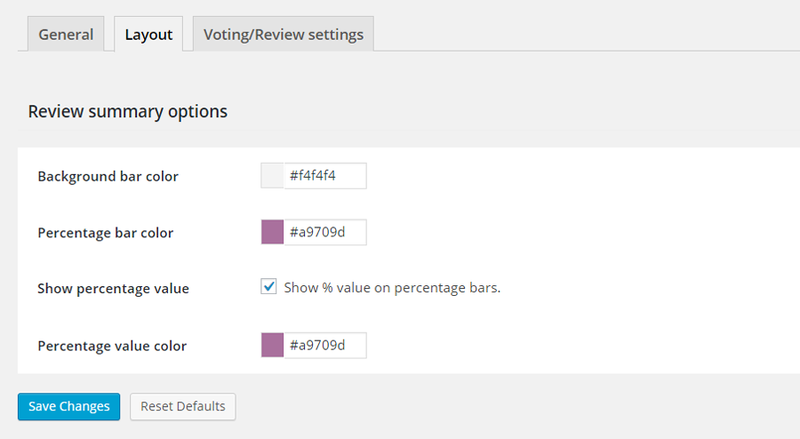 Enable the option “Limit multiple reviews” in plugin settings panel. 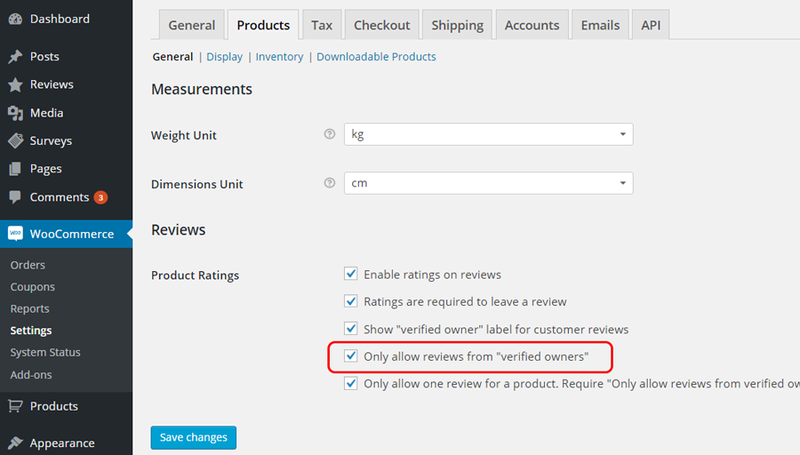 Go to “WooCommerce > Settings > Products” and enable the option “Only allow reviews from “verified owners”. 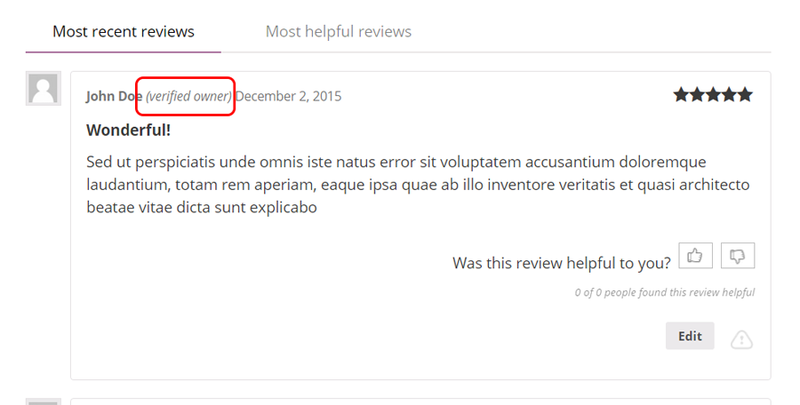 If everything has been configured correctly, each review left will be marked as written by an actual customer. 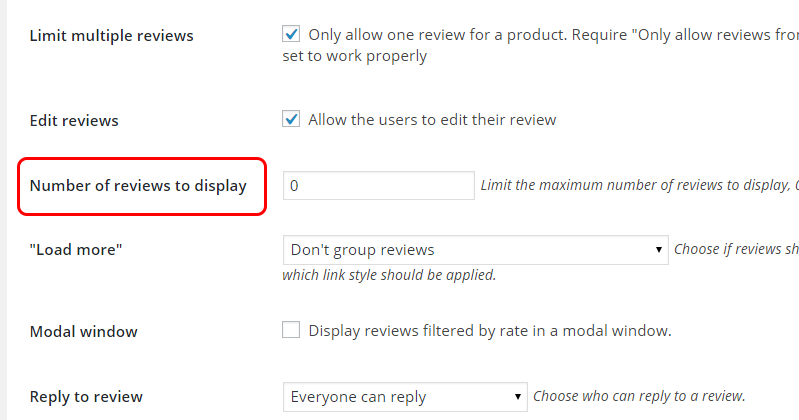 If you don’t want to display all the product reviews at the same time, you can set the maximum number to display through “Number of reviews to display” option. 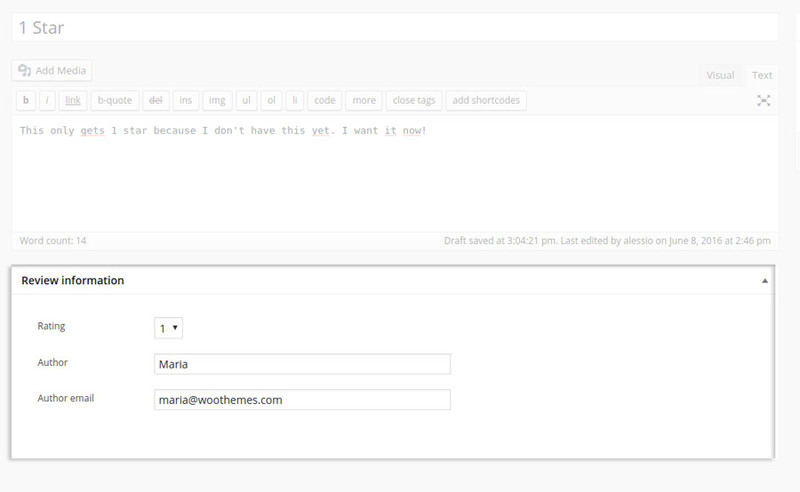 Value “zero” matches with no limit. 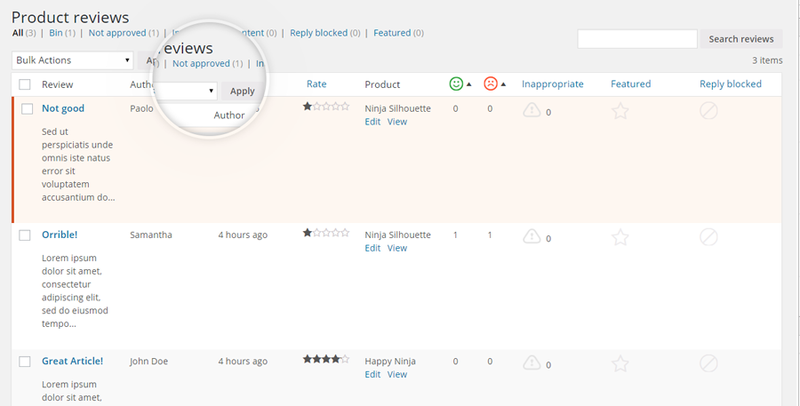 In this case, to allow users to visualize more reviews you must activate “load more”feature in settings dashboard field. 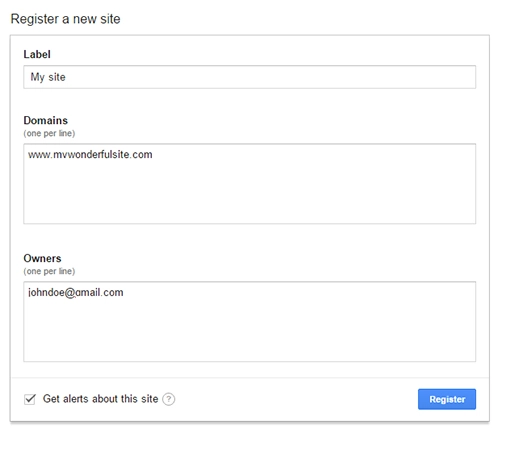 Depending on how set up, “load more” can be a link or a button. 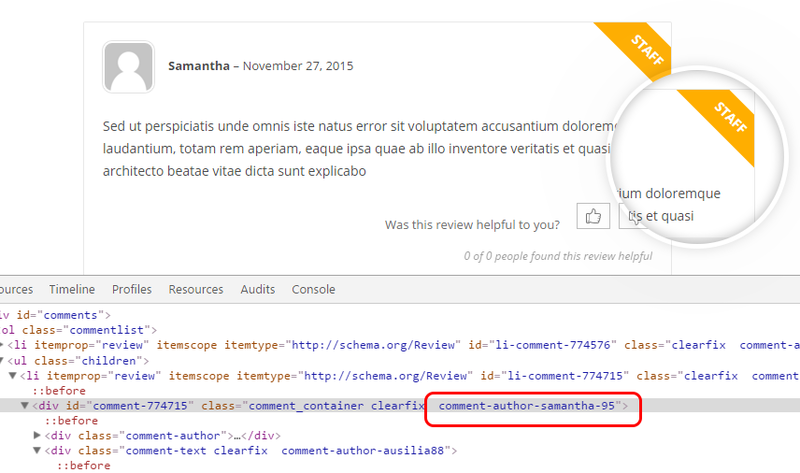 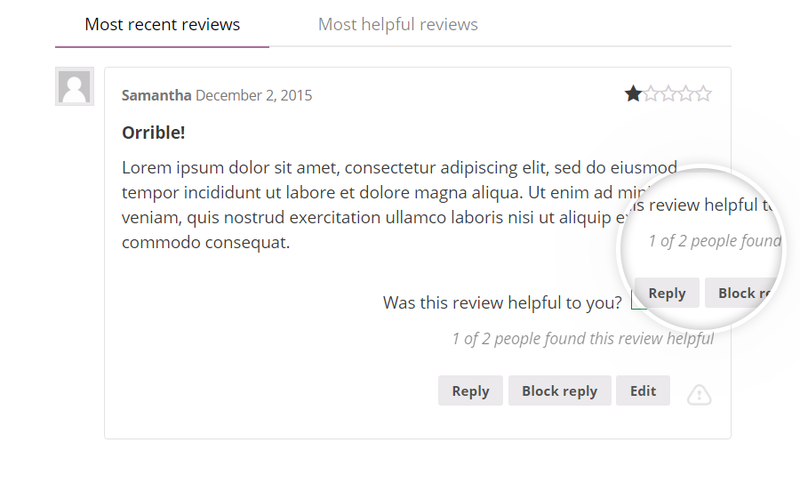 Reviews displayed in a product can be filtered by users for a faster visualization. 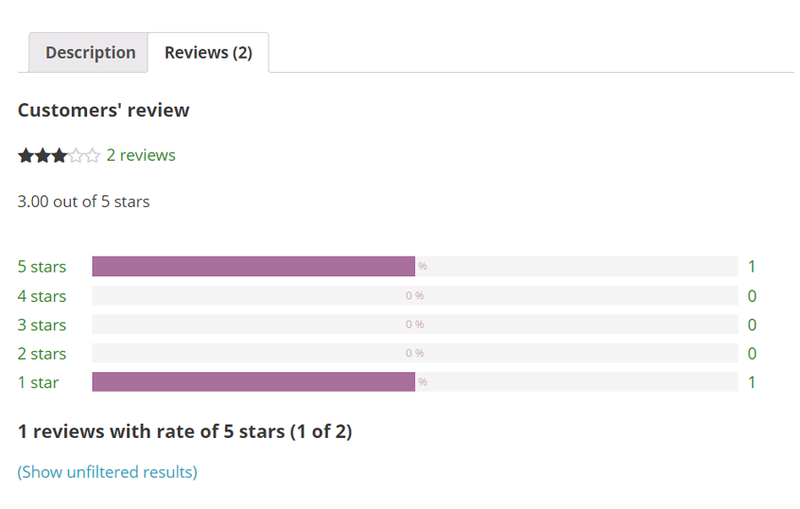 The first filter allows users to organize the reviews visualization based on realise date or on number of positive votes received from users. 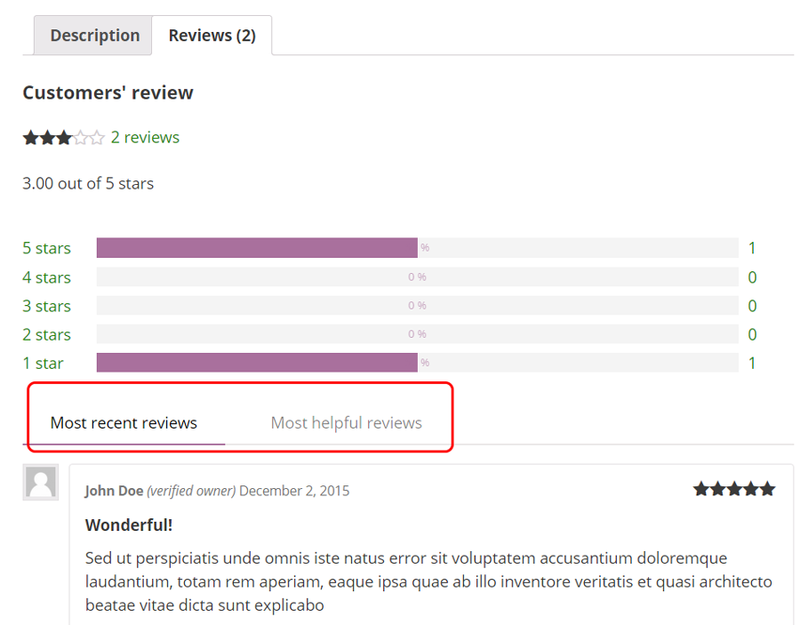 Reviews can be filtered also based on selected rating. 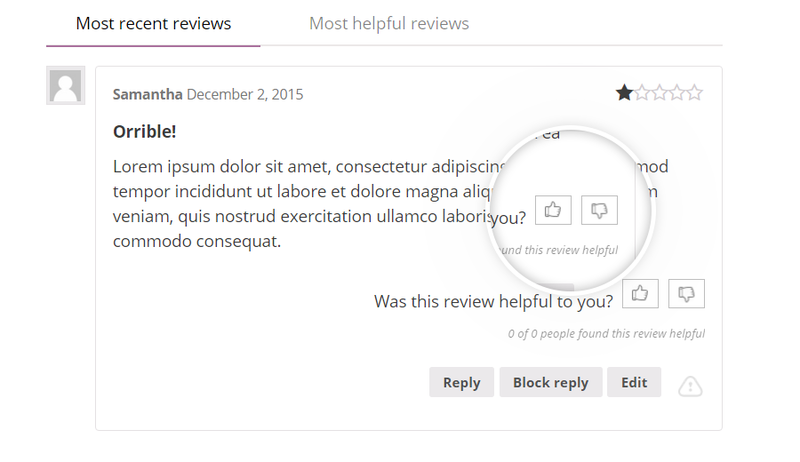 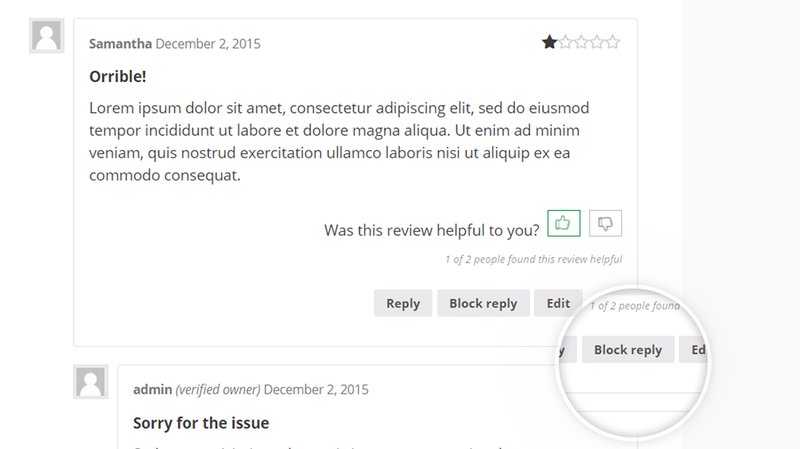 To visualize reviews filtered through rating in a modal window, activate “Modal window” option in settings dashboard. 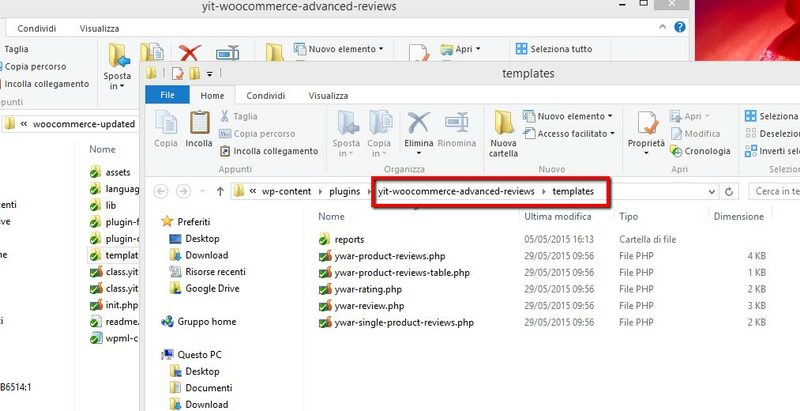 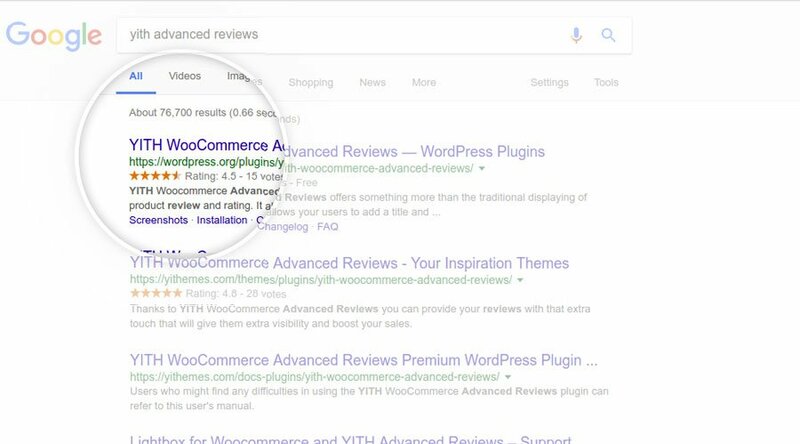 Shop administrator can consult the reviews report in WooCommerce -> Reports -> Reviews.